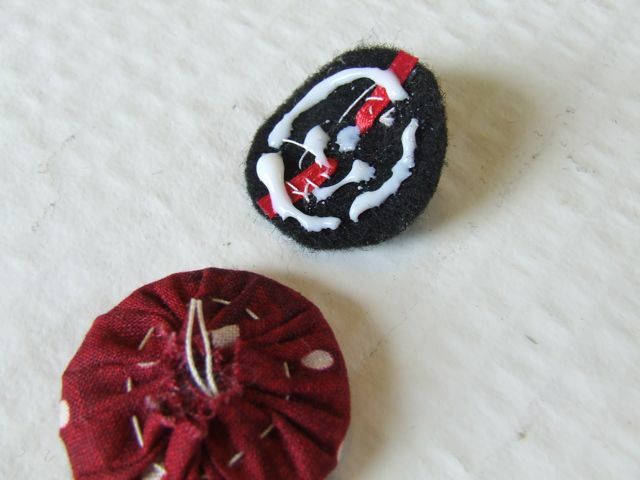 I LUV covered buttons! Have you noticed a spike in their popularity recently? I have. I'm paying attention over here ya know. So I devised this handy tutorial that avoids the trip to the button store altogether and allows you to make these little babies with stuff from around the house. 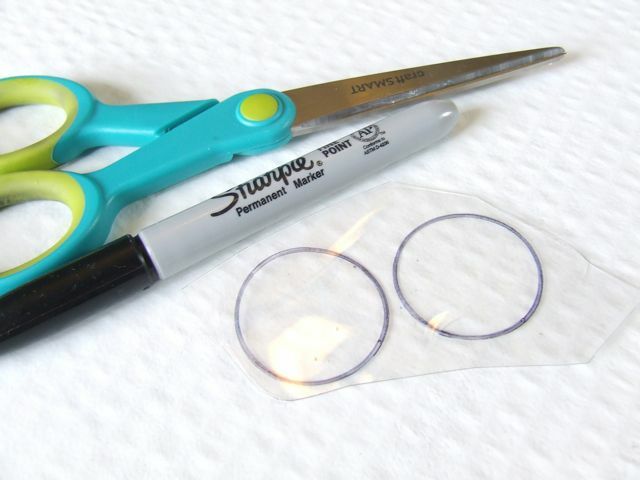 To begin, draw out 2 circles on your plastic. Cut them out. If your plastic is too thick it'll be difficult to cut out. I use thin, cuttable plastic and layer a few pieces to make it sturdy. Put a dab of glue on one of your plastic circles. Place your second circle on top. Let dry. 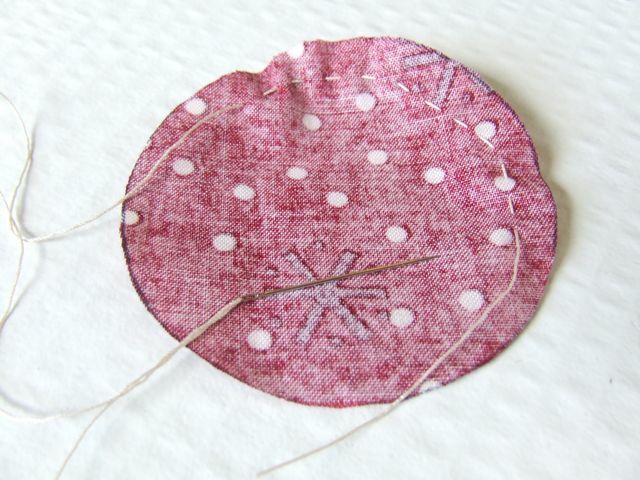 Draw a circle from your chosen fabric that is about twice as wide as your little plastic circles. Cut it out! No really, cut the fabric circle out. 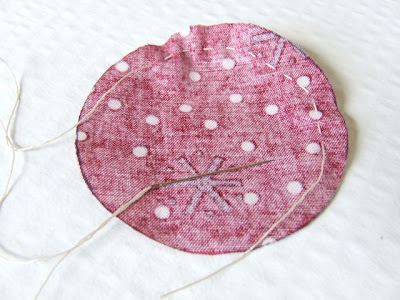 With a needle and thread, sew a running stitch all around the edge of the circle. 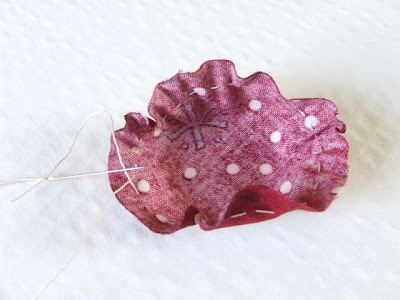 Pull up the ends of the thread just enough to make a little fabric cup. In your little cup, layer a few pieces of batting. 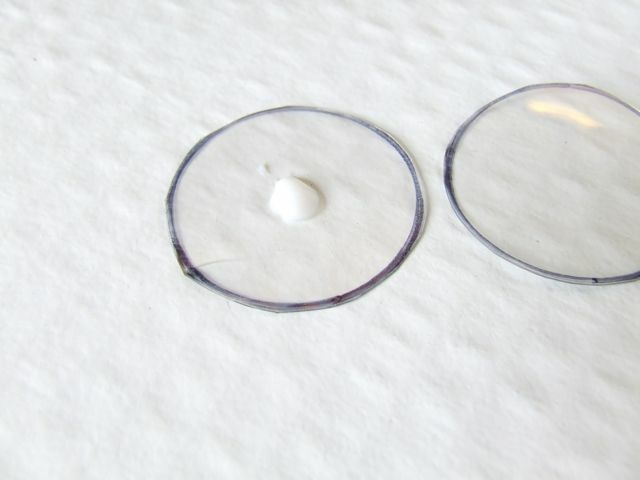 On top of that, place your glued plastic circles. 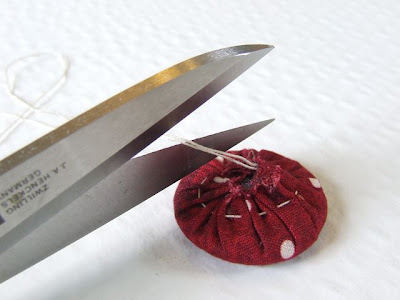 Now pull up the thread ends tightly so that the fabric comes around and over the batting and plastic circles. Tie the ends tightly. Cut out a little felt circle, slightly smaller than your button. 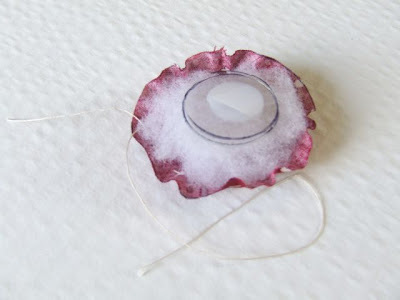 Take a large needle and a short piece of narrow ribbon. 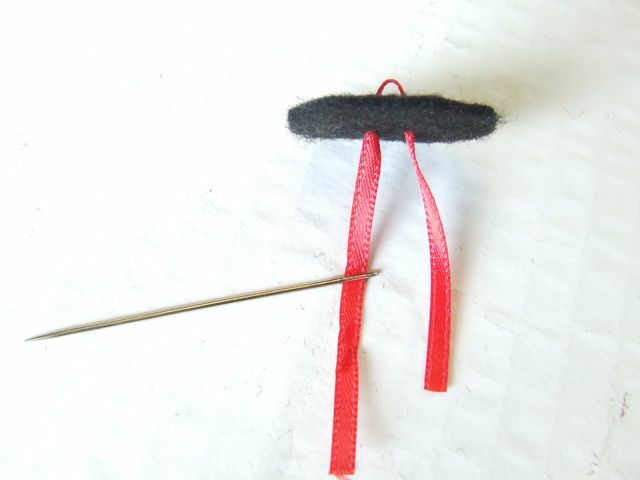 Thread your needle with the ribbon. Create a button shank by sewing your ribbon through the centre of the felt circle as shown in the next photo. Here's a shot of the shank. 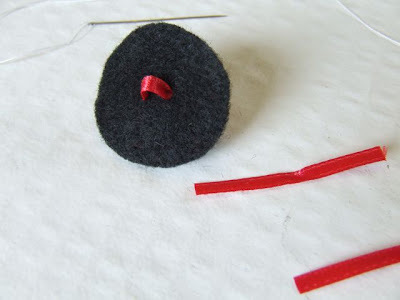 Next, sew your ribbon down onto the felt so that it stays in place. Then put a whole whack of glue on this side of the felt. 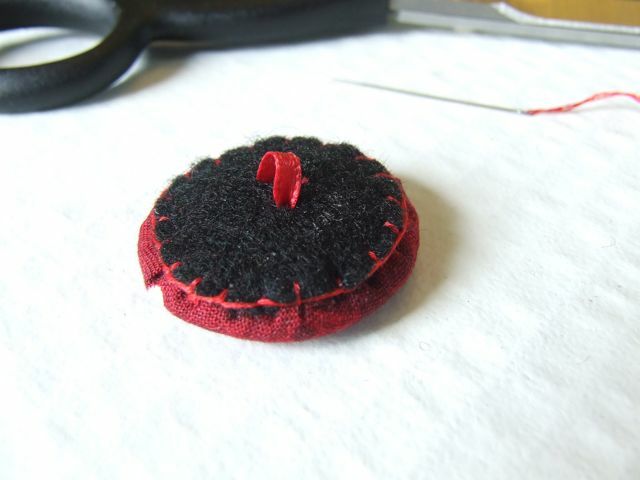 This will hold the felt to the button and will help keep the ribbon shank intact as well. 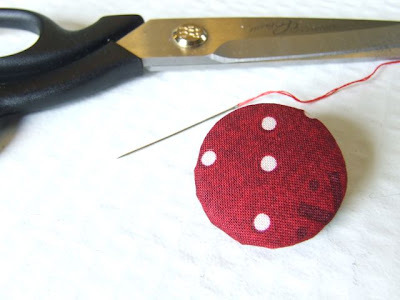 Place your gluey felt circle on the button bottom. 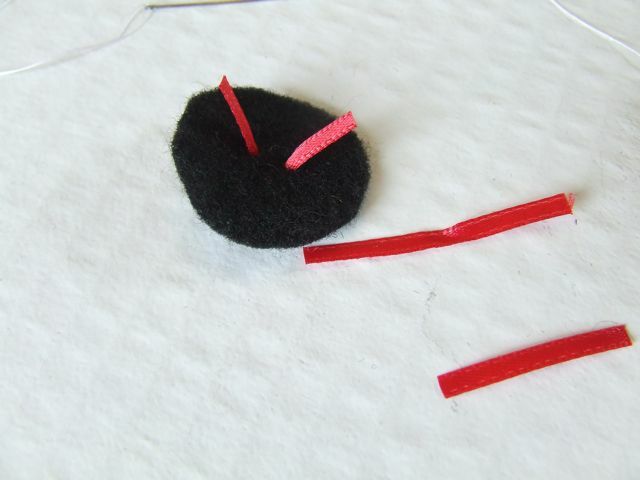 Using some nice matching thread or embroidery thread, blanket stitch the edge of the felt to the button. And that's it! You are DONE! 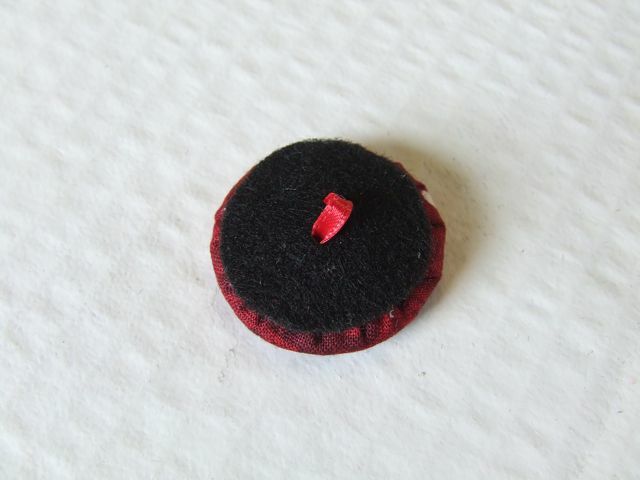 A beautiful inexpensive covered button! 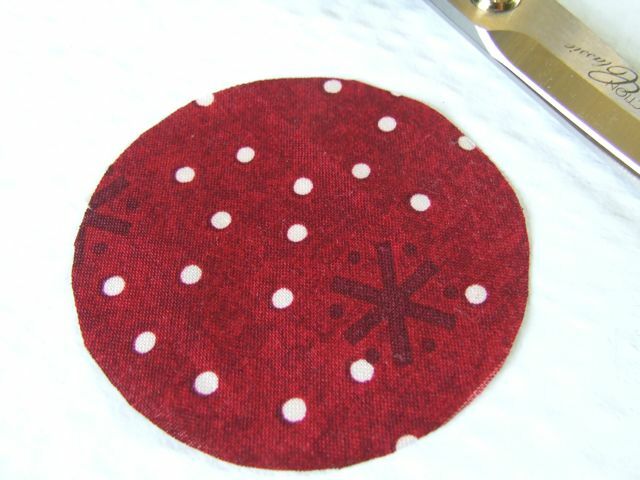 Get Your Craft On at Today's Creative Blog and also Lucky Linky Tuesday at Lucky Star Lane! I love those!!!!! They are amazing!!! Gosh this is going to save me money and frustration when I need covered buttons and can't get to the shops. I just bought a covered button kit for 1 1/2" buttons, 2 buttons for $6.00!! Thanks for taking the time to do this tutorial! Those are really really cute! I want to try this out when I get a chance. I don't know whether or not you're a Button Floozie. I am, and if you're not, and would like me to, I'd gladly write about this post and link back to you here. Just let me know via email. It's a great tutorial! 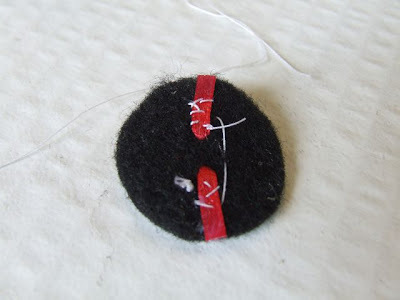 While visiting Donna over at Brynwood Needleworks this morning she said you had a tutorial today for the button floozies and I just had to pop over so I could get the steps noted down somewhere. Oh I thank you so much for these instructions. You made it seem so simple. Great instructions. I have signed up to follow your blog, as I can't wait to see what you share next. Please stop over and say hi. I would be so thrilled to have you follow my blog as well. I love meeting new friends and sharing creative ideas. Thank you for sharing such an awesome tutorial! 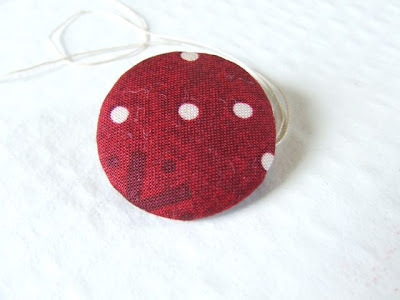 I love making covered buttons but when the urge strikes it's usually a Sunday and the shops are shut! Now, thanks to your generosity, no more frustrations and happy times! Dang! Just wished I had read this first as I have just bought some of those metal pesky things to make a covered button. This is great. 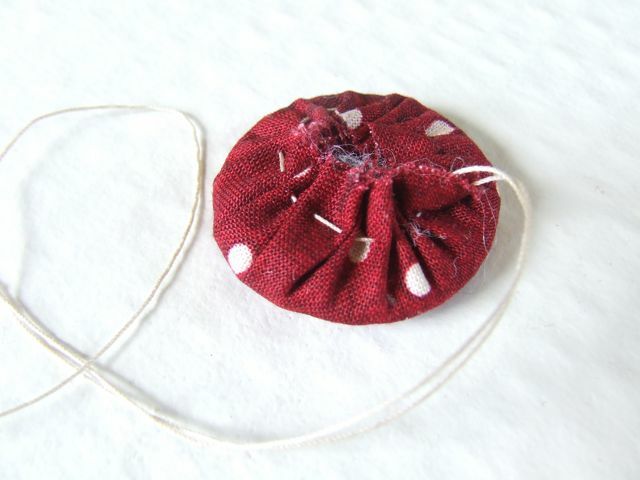 I have found you through Button Floozies and will now be following you too. Stop by and say hello sometime if you have a spare moment. How lovely, thank you this will save me paying a small fortune for the plastic buttons to cover! What a great tut and i just love buttons so will be defo making some of these when the need comes.....thanks for sharing. Super! I just bought a package of the metal thingies too but I am sure they will come in handy one day but today I am gonna try making your buttons. They are just super! Thanks for sharing this with us! 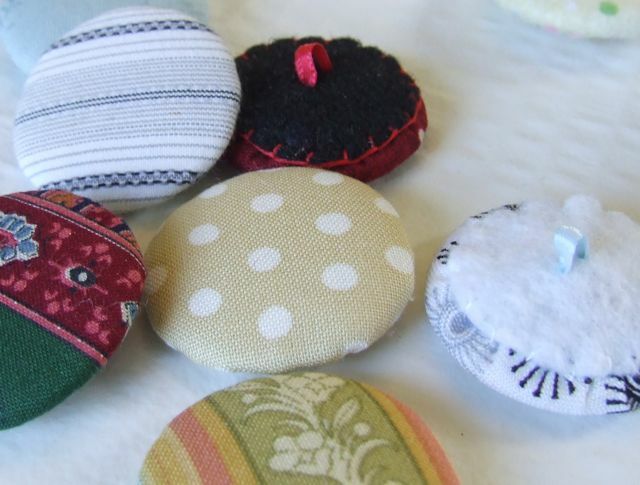 What a terrific idea , I really have to give these a try as often I have the problem of not having that perfect button for a project ,thanks so much for being so clever . LOVE your tutorial...you are sooooo smart. Plan to use this idea for sure!! Great tutorial! Now I have to check out the rest of your blog! THanks for that, I'm always needing buttons. 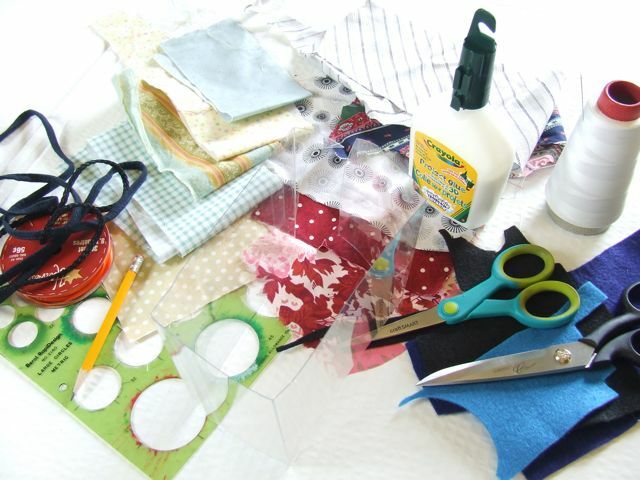 Found you through Freebies for Crafters, am now a follower! Very clever! But while recycling is a great idea, I like to make things that I can wash and dry easily. I think I'd use heat resistant template plastic instead of plain plastic, that way they'll survive the laundry. Thanks for the lesson! Thank you for sharing, this is a great tute! Thank you! Love these. I can see using these on lots of projects. This is fantastic! I will be linking back to your post sometime next week! Thanks for sharing. Oh, and I found you through Totally Tutorials. This is most excellent. I've been wanting to find a way to make buttons without buying a kit. This is a bookmark for sure! What a great idea!! Your tutoria was perfect :) Thanks for sharing that idea. Have a great day! That is so cool, and it's much easier than those button kits. And quieter, I usually have to use a hammer when making buttons. LOL! I just bought a button kit too but I have some anyway. Love this idea. 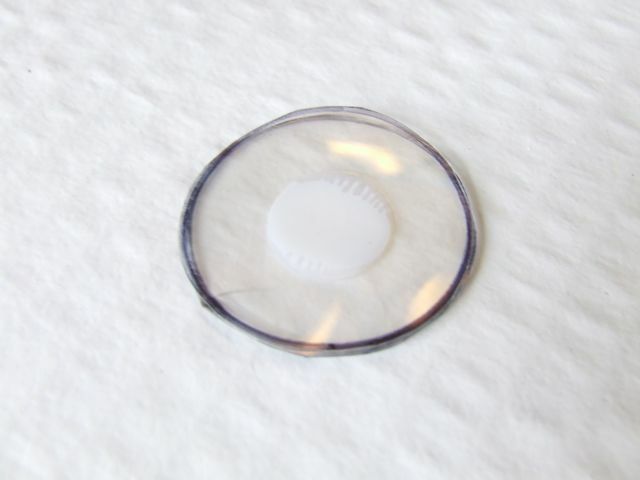 Here's another option - before gluing the two plastic circles together, drill a center hole in one (maybe even with just a hot needle? ), then stick a loop of heavy gauge wire through the hole with the loop on the "outside" and the end pieces "inside". Then glue the two together. Might have to adapt the back felt a bit, but if you wanted something sturdier than a ribbon, it might work. Lots of free tutorials to share. Oh how great! Found you from Totally Tutorials and I am so glad I did. Well done! What a great tutorial I shall have to give those buttons a go they look just fab! 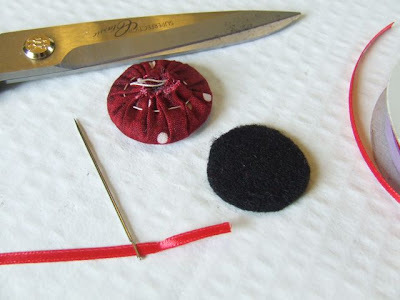 Great tutorial - I love covered buttons. I will try these today. Thanks! those are so cute and I always have those supplies on hand. Your projects amaze me, so resourceful. These would be great as a fabric flower embellish for flowers. Thanks for sharing your button tutorial. Well done! What a spectacular tutorial!!! thoroughly entertaining and inspiring!!! TFS!!! Your tutorial is absolutely amazing and very very helpful! Your Blog is wonderful!!! I´m brazilian sewing crafter , and patchwork loved !!! 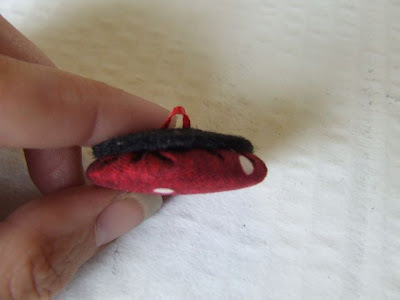 your tutorial of buttons are realy cool, i´m be make this. thanks for all ideas. Congratulations!! I can't believe this! Amazing creativity. I always throw that plastic away! 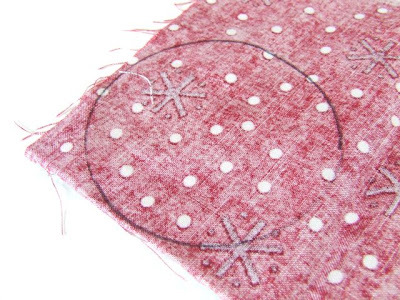 I have both a Sizzix and Cricut machine which would make really fast work of cutting those small circles! And plenty of scrap fabric, felt and paper. 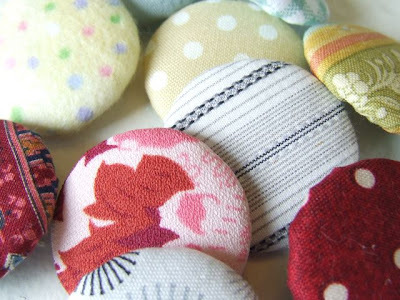 I'll never buy decorative buttons again for scrapbooking embellishments or for my clothes that need buttons replaced! This is awesome; the best thing I've seen all month. Thank you! ça y est, Michèle, j' ai enfin essayé ton tuto ... Je m'en suis bien inspirée pour faire différents boutons !!! Merci !!! Ma sono bellissimi!!!! Grazie mille per il tutorial!!! These are fan-flippin-tastic!!! I can't wait to make a bunch of buttons! Thank you!!! I'm going to make some of these and put magnets on the back to make fridge magnets! I loved it. very good !!!!!!!!!!! What a gorgeous series of photos accompany this tutorial. For many of us pictures tell it so much better than words. You have done a wonderful job and your results are beautiful. Nossa amei essa ideia parabens! Great tutorial...thanks...I´ll feature on my blog. hope you don´t mind. Just what I was looking for! Starting right away making 9 for decorating my string quilt. Thnks! I love this idea! I love the look of covered buttons but hate always buying the stupid not so cheap kit. I am so happy you posted this! thanks so much for sharing your wonderful tutorial! I was going to purchase an expensive kit to get me started but now I have everything I need in my stash!!! they look great and you are a genius!!!! 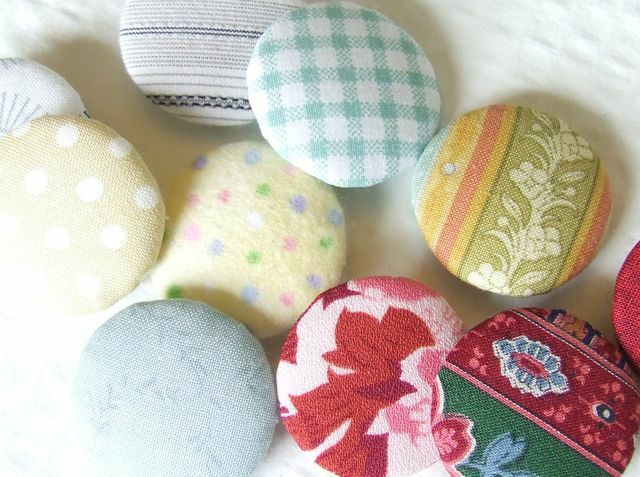 I made 50 of your buttons today and they are on my blog with a bit of a tutorial as to how I made mine! I have also linked your tutorial to my post! Awesome! If using for the center of hair bows or flowers, you would not even have to.add the felt or ribbon. Just glue onto.center after covered. Love it! Thanks! Awesome way to save money.